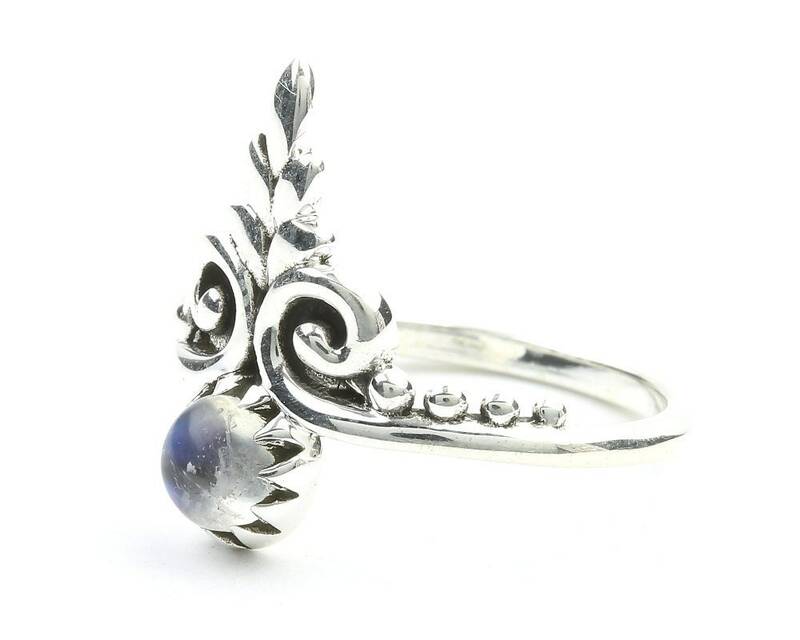 Beautiful sterling silver ring with Moonstone accent stone. Unique shape with lovely silver detail. 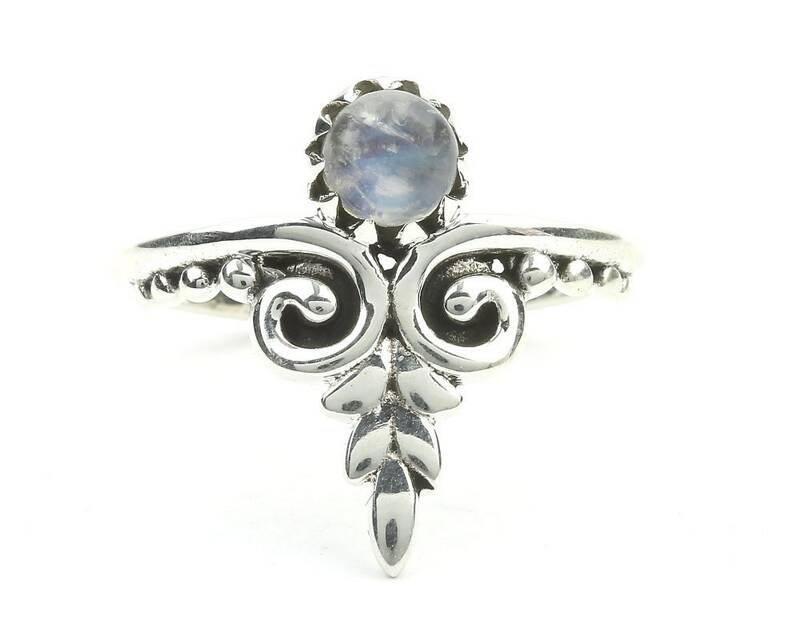 Pairs perfectly with other stone and silver pieces. Patina finish accentuates the detail of the piece. 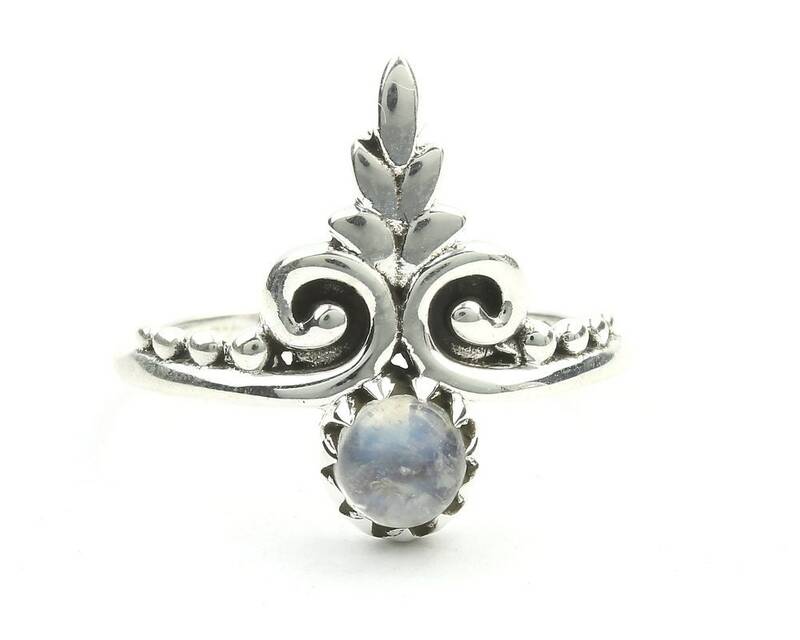 Moonstone is a magical stone of calming and hope. Associated with love of all kinds. I love this ring looks well made not cheap and was delivered soooo fast!